Paris Couture Week is a magical time — it's when fashion's elite storm the iconic city to see what the most prestigious designers have created for the next season. The caliber of each runway dress is worthy of the red carpet, or even a wedding. From Armani's nod to the '80s with velvet and gold to Dior's delicate pleats and nipped waists reminiscent of the '70s, every one of these pieces are part of a fantasy wardrobe. 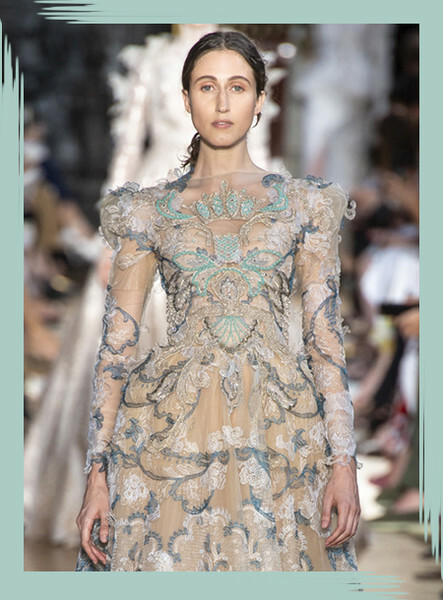 Will you love Giambattista Valli's frothy tulle or be drawn to Zuhair Murad's regal embroidery? Go on and find out, your pin boards will thank you.